I'm sure we all can't wait for Marvel’s next, "Captain America: Civil War" to watch Cap take on Iron Man, but is there another war going on here in Malaysia? Spider-Man was recently spotted selling Nasi Lemak in Kota Bharu, Kelantan which excited many locals, but now Deadpool is spotted in Sabah selling breakfast. Does this mean there will be a "Food War" movie soon? (hint, hint, Marvel). This family got more than they bargained for when they went looking for Nasi Lemak in Kelantan. Looks like the mutant mercenary has switched his weapons for a simpler life, selling sandwiches and coffee. 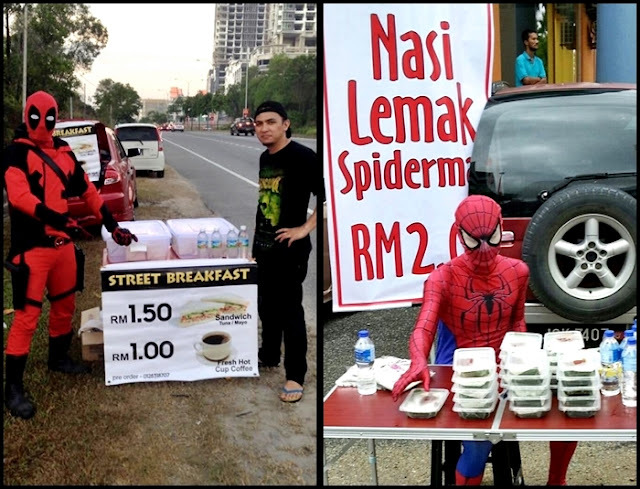 But obviously it’s not Wade Wilson in those red pants, as its Malfil Yusof who is the man in the Deadpool inspired costume, selling tuna sandwiches for as low as RM1.50 and coffee for only RM1.00. 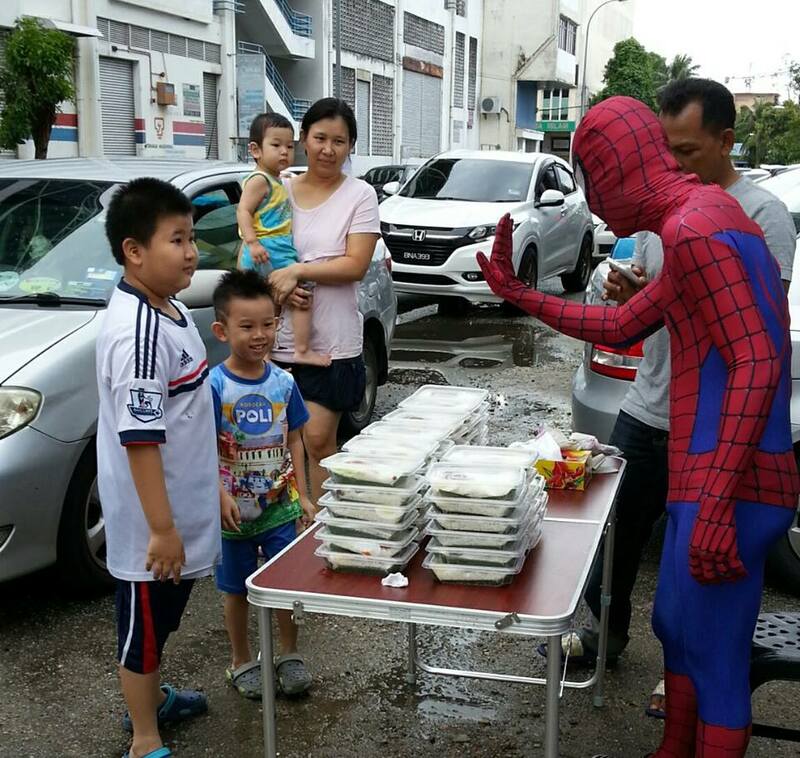 According to Astro Awani, his business is booming at the Jalan Sulaman area in Kota Kinabalu where the cosplayer was spotted serving his customers, who also happen to be “Deadpool” fans. It turns out to be quite rewarding to Malfil, as he usually sells out within an hour. Customers not only come to buy sandwiches and coffee, but also to pose with the titular character of the box-office record breaker. If you happen to be around the area, maybe make quick stop before he sells out and let us know what you think?